“No man is an island,” as the saying goes. In the world of online businesses, You need all the help you can get from people so you can growth hack your website and generate more traffic and sales. You can’t do this all by yourself and expect immediate results. This reason explains the popular of blogger outreach. It helps you build relationships with like-minded professionals and influencers so you can grow a network of engaged people whom you can tap to for promotions and engagement. People also use blogger outreach to build links for their site as part of their white hat SEO strategy. It is one of the many byproducts of blogger outreach if you do it correctly. Buzzsumo is a content research tool to help you find the most shared posts about your topic so you can analyze them and create an even better version. The tool is an indispensable part of the Skyscraper Technique that lets you create traffic-generating content even if your site is fairly new. However, it works perfectly as a blogger outreach tool too. Buzzsumo lets you find Twitter influencers about your topic and gather information about them. It shows you how engaged they are in Twitter based on their retweet and reply ratios. The idea is to find influencers with lots of followers but continue to reply to their followers and retweets posts of others. If they can sustain this level of activity on Twitter, there’s a good chance they’ll reply to your tweet if you reach out to them. You can also view the links they shared to get an idea of the posts they’re willing to share to their network. Using this information, you can create content tailored to their sharing patterns on Twitter. Reach out to them with your content and expect them to share it in no time! If you want to reach out to your audience, then you need to send them an email. Private messages on their social media networks may fall on deaf ears. Due to the insurgence of mobile devices, emails have become hip and trendy again. Lots of brands are engaging with their audience via email to great effect. Whether you’re trying to reach out influencers or other people, email is the way to go. To find out the emails of people whom you want to connect with, use FindThatLead. There are different ways on how you can use FindThatLead as part of your blogger outreach strategy. You can use it with Buzzsumo if you want to find the email addresses of Twitter influencers and people who shared a post about your topic. You can upload the Twitter URLs of these people and FindThatLead will process the data in bulk. Once done, you can download a file that shows the email addresses of people. The tool scores each email address according to the probability of it being correct. Use this information wisely so you reach out to people with the right email addresses and not from ones that will most likely bounce. Another use case of FindThatLead for blogger outreach is to find cold leads where you can promote your post or services. Using its Prospector feature, select specific targeting criteria so the tool will return the right leads for you. Once you have the list, choose the people whom you want to reach out to by getting their email. Then go to Campaigns, upload the CSV, and type the message you want to send to them. The tool will take care of sending the emails one by one. Lemlist is a cold email outreach tool that fits in well in your blogger outreach strategy. 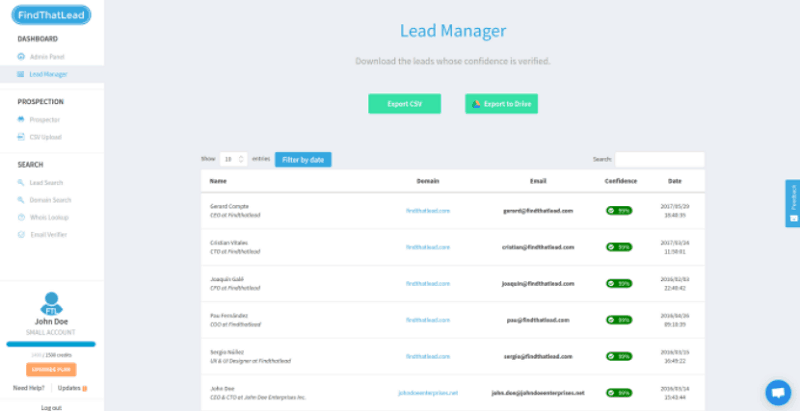 It bears similarities with FindThatLead’s Campaign feature where you can send bulk emails to people from your CSV file. However, Lemlist is closer to Mailshake because you can send cold email campaigns to build relationships with your audience. What makes Lemlist special is the ability to send customized images to recipients. Using custom variables, the tool will insert the text in the images so you don’t have to create them for every email. You can use image templates available in the tool or upload your own images to further personalize your message. The more personalized and authentic your emails are, the higher the open and click-throught rates will be. Build your list by typing the topic on the search bar. It will return people of different online sources according to your topic. Each result will show relevant website metrics for you to determine whether to pursue them (this is crucial if you want to request a link on their site). Once you’ve filtered the list, you can send them emails from its collection of templates. Choose one and customize it according to your needs so you don’t have to start from scratch. You can also prepare a follow-up email if they didn’t open the previous email. Once done, let the tool send the emails automatically and analyze the results. Pitchbox is a more powerful version of Ninja Outreach. Agencies that rely on blogger outreach as bedrock for their marketing efforts will highly enjoy using this tool. ​​​​​​​Aside from blogger outreach, the tool works as a CRM platform to keep track of your contacts and see how they responded to your campaign. If you have clients, you can build reports based on the campaign’s performance and determine things you did right and areas that need improvement. There is also a Team Performance feature that lets you evaluate how your members fared during the campaign based on different variables. If you built links using Pitchbox, it lets you monitor the links you’ve acquired and see if they are still up and free from errors. If the latter, you can reach out to your contact person and ask why the linked is down or removed. Are You Ready To Use These Blogger Outreach Tools And Take Your Site To The Next Level? 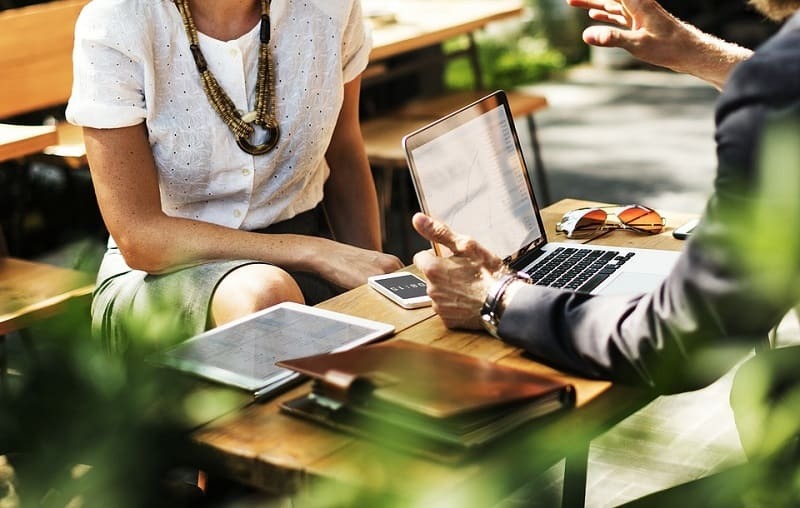 The tools listed above are just one of the many tools you can use to build relationships with influencers and leverage them to boost your site’s growth. What’s important when using these tools is to keep your outreach genuine. Don’t reach out to the with an agenda in mind. While you want to put the relationship you’ve built with people to good use later, it’s better to focus on befriending and getting to know more about them. From there, everything else will come naturally. Good luck! Freelancer writer for hire turned content marketer turned CEO of GoSmrk, a boutique digital agency that helps people grow their online businesses using the best growth hacking techniques. Also an '80s NWOBHM fan, a professional wrestling smark, and the loving husband and father. Are these all premium tools? I looked but didn’t see mention of pricing. Hello, Janice! With the exception of FindThatLead (which offers 10 free email searches a day), all tools listed above require a paid monthly subscription. Pricing starts at $52/month (billed yearly) for Ninja Outreach, $99/month for Buzzsumo (although they have $39/month special promo for bloggers, at $19/month for text emails ($34/month for text+images) for Lemlist. Pitchbox requires you to inquire them for their pricing. FindthatLead’s small plan costs $29/month for 1.5k searches/month. that is shared mostly. Pitchbox is a helpful tool and a strong version of ninja outreach that is effective for building relationships. These helpful tools must be used by every bloggers. All the listed tools are helpful for marketing but i really like an idea of using Buzzsumo & ninja outreach. Very informative article and thanks for a share. BE VERY CAREFUL of NinjaOutreach. A genuine warning about this company – do not give their ‘3-day free trial’ a try. We signed up for the trial, prior to the trial ending we asked for help downgrading to the monthly plan which we saw mentioned in their user panel. However, we received an automated message saying they’re away and will be back on Monday. Then, later that day we were charged $621 USD for a year’s subscription. I assumed it was just an automated error, and contacted them to get the funds returned as we had notified them prior to ending the trial that we wanted to proceed with a monthly, not yearly plan. The customer support were quite rude and said that they couldn’t find proof of my message and that per their TOS they wouldn’t be giving a refund. I found the chat log quite easily and sent them the proof about it. The customer support agent ‘Tarek’ never replied after that, despite sending many messages – and despite seeing him coming online/offline numerous times over the following days. Eventually, a different person came back to us and said that the ‘monthly’ option described in the back end (which had then disappeared) was actually a quarterly option, and was part of an A/B test that was being removed, but they could switch me to that quarterly option as a one-off and refund the difference. 1 – You can’t list a ‘monthly’ option but then say that you have to pay 3-months at a time – that’s a quarterly plan, not monthly. They’re two different things, with the latter being 3 times the cost. It’s just false advertising and if you made the error, as a company you need to make that right with the customer. 2 – If you were running an A/B test you can’t withhold $621 of a customer’s funds because they tried to use the function described prior to the trial ending, but the function disappeared and you didn’t help the customer quick enough. At least we did get a partial refund, but we’re definitely not happy about it. I might have actually been a happy customer and even recommend this tool to other people had their support been better, but I certainly wouldn’t recommend anyone to try it now. Blogger outreach tool is mainly about maintaining a relationship, this states the success depend on the quality of the content. If we provide relevant content to the blogger audience then they might be interested in reading, sharing and linking to the content. You have really suggested the bunch of modern outreach tools and most of the blogger will use this. A very good article to know about the favorite outreach tools.